Category: A Product Brand: Murley & Co.
Beautiful headpiece from Murley & Co Millinery. 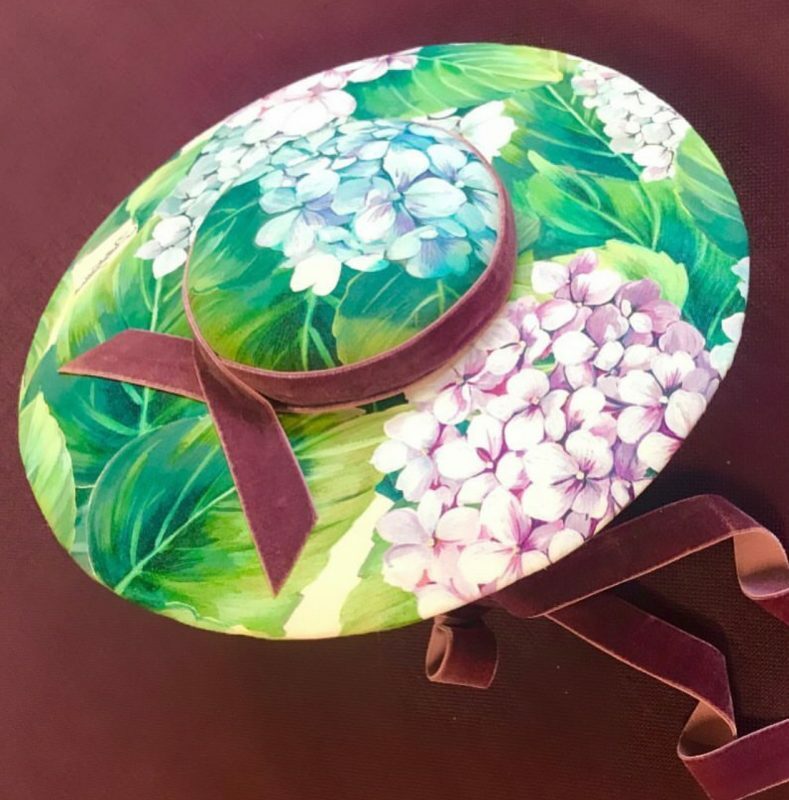 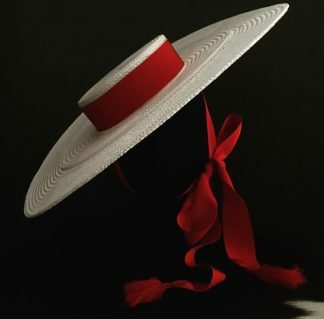 Handcrafted by Murley & Co using Authentic Dolce & Gabbana hydrangea print fabric, this classic brim with long velvet ties is one of a kind and only available to be hired exclusively via Designer Dress Australia. 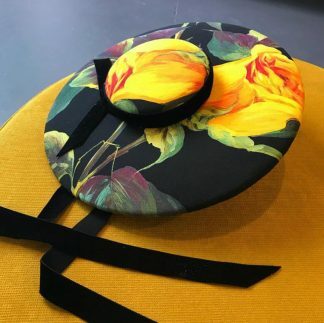 Note: This brim it will either need to be collected and returned to the studio in Balwyn North or an additional $30 will be charged to cover postage both ways.